Today marks the 6th anniversary of my battle with Guillain-Barre. The good news, this will be a very short update: Everything is fine. The war has been over for a few years now, and I don’t even think about it on a day-to-day basis. My kids reminded me of it last weekend though, and I’ve had a few emails from other survivors who want me to keep posting updates because they gain inspiration from knowing someone who beat it. So I thought I’d post a note. I have, of course, aged six years during this time as well, so other things have happened that affect me more than the GBS. My hair is greyer. My vision has gone all to crap for up close reading without glasses. I had shoulder surgery in December to fix a torn labrum I suffered way back in college, and I’m still in physical therapy weekly to recover from that. All pretty normal stuff for a 46 year old guy, GBS or not. So for those of you who are reading this and dealing with your own GBS Battle, I hope this gives you some solace that recovery is possible. 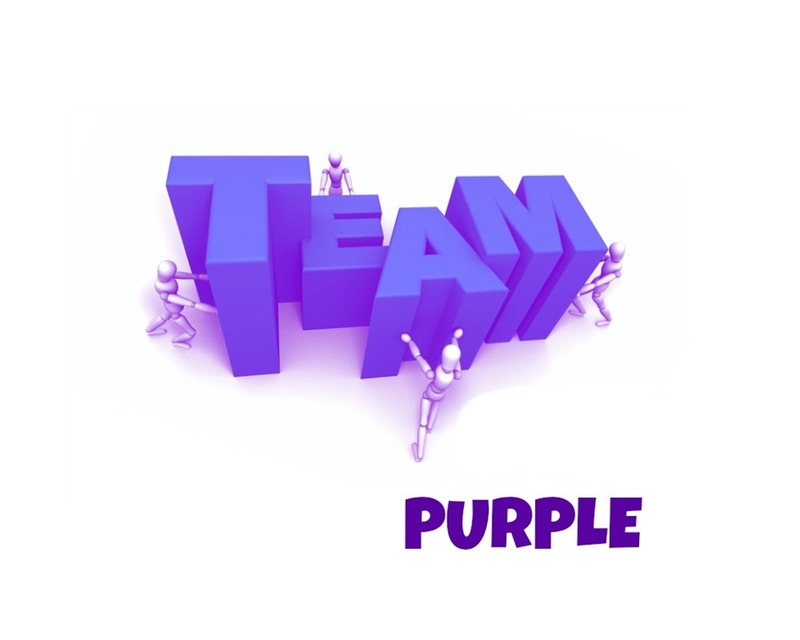 I wish you all the best in your fight, and I am rooting for each and every one of you! Ok. Finally. 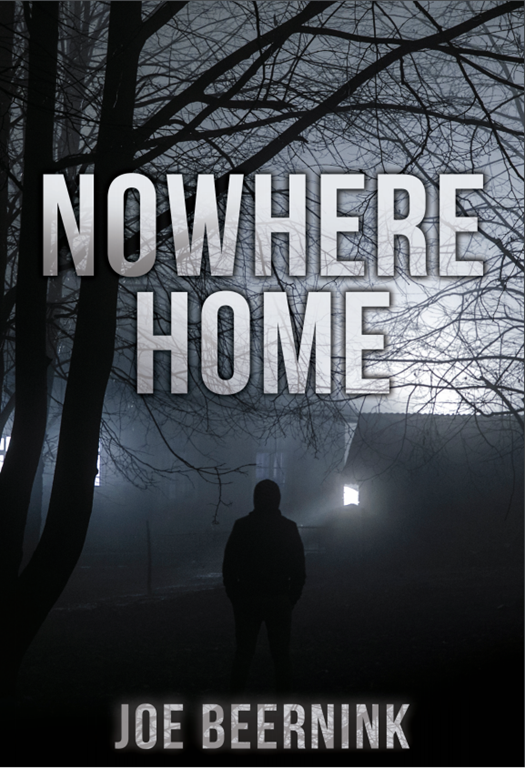 The launch date for Nowhere Home has been set. And it’s really close. Like today. Yes, that’s correct. TODAY! Or, if you’re not reading this moments after I’m posting it, that date is November 24th, 2017. Where can you get it? 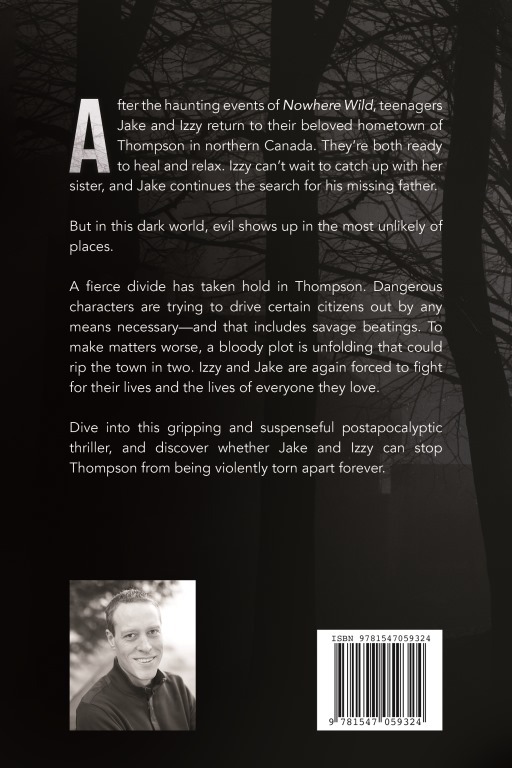 Right now, your best bet for the paperback is either on Amazon US or Amazon Canada. Independent bookstores can also order it (ISBN 978-1547059324). I’m trying to make it easier for bookstores to get it in stock, but I probably won’t get that working properly until January. The Kindle edition should be available world-wide within the next 72 hours for $6.99 (US). If you purchase the print edition, you can also get the Kindle version for $1.99 (US). To celebrate the big day, I’ve set up two giveaways on Goodreads—one for Nowhere Wild (for those of you who haven’t read it yet), and one for Nowhere Home (in case you need an extra copy after buying it on the 28th. The giveaway closes December 9th, so unless UPS is completely slammed, you should get your copy before Christmas. It’s been a long journey getting to this point and I’m both relieved that it’s out there and nervous that the day has finally arrived. Thank you again, to everyone who has supported me through the last two years of getting this book out. I’ve learned a lot, and I really hope you enjoy this book. Please leave reviews of it on Amazon and Goodreads. It helps a lot. I hate to keep doing this to you, but I swear, the publication date for Nowhere Home is getting really close. I’m just waiting for the Kindle Conversion to be complete, and then I will set a date. Hopefully within the next two weeks! And here is my first author copy! The cover is a little bent because Lisa had already started reading it before I had a chance to take picture. The list price on the paperback is $14.95 US, or £11.36 or €12.81 in Amazon Europe. Not sure what the Canadian price will be yet, nor do I know what the Kindle price is yet. Soon. Very soon. Wait to buy it until the official launch date. 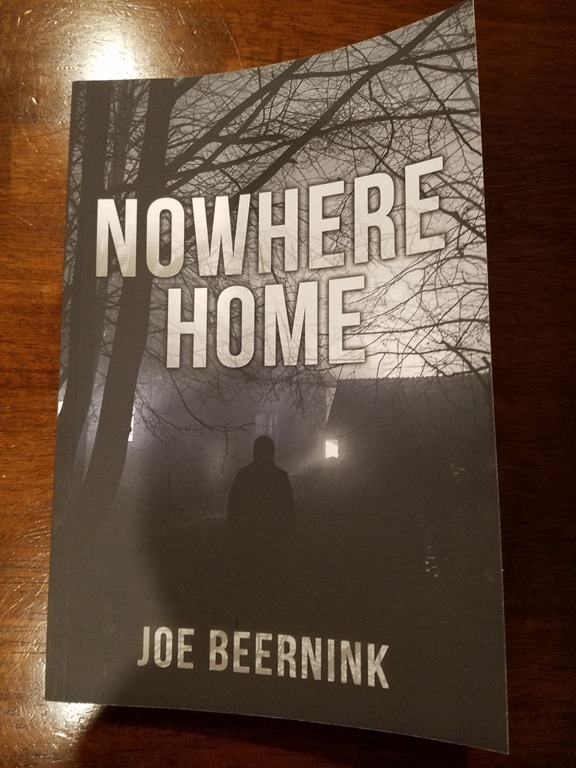 A big bump on the release date will make it appear higher on the Amazon best seller list, and encourage more people to check out both Nowhere Home and Nowhere Wild. You may be able to find it available for sale sooner than I make my announcement (I had to open up pre-order for bookstores and I can’t control when they make it available), but please hold off just a little while longer. Support your local bookstores. Let people there know about about the books, and see if they can’t order a few, then direct people to get them there. Request it for your local library. Let me know if they have problems getting it. 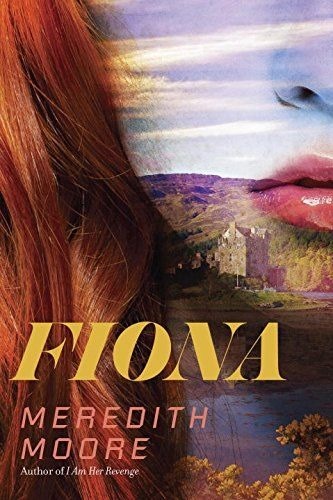 Please, please, please, when you are done reading it, put a review (or at least a rating) on Goodreads and Amazon and Barnes and Noble (if you can find it there). Ratings and reviews sell books. The more reviews, the more books sold. Help me get the word out on social media as we get closer to launch. Facebook it, Tweet it, Instagram it, or do whatever the cool kids are doing these days. If you know book reviewers who would be interested in doing a review, let me know. I’d love to get them an advance copy. And if I haven’t said it enough over the years, THANK YOU to everyone who bought Nowhere Wild and those who have kept after me to publish the sequel. I hope you enjoy this book even more than the first one. More updates to come as soon as I get them! So I know it’s been a very long time since I’ve posted here, but a lot of stuff has been going on, and life sort of got in the way of blogging on a regular basis. More about that later. The really big news—the news many of you have been asking about for many, many months, is that yes, there will be a sequel to Nowhere Wild. 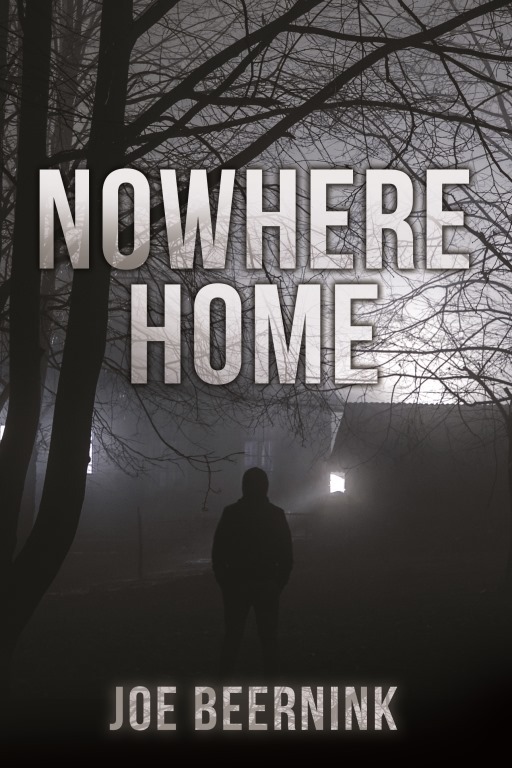 It’s called Nowhere Home, and it picks up moments after the ending of Nowhere Wild, where Jake and Izzy return to Thompson only to find out they may have been safer in the woods. The writing is done. The editing is done. The author’s notes and acknowledgements are written. All that is left is getting the proofs back and setting a final publication date—which I should find out very soon, but it will be sometime in the next 2 months–just in time to put lots of copies under Christmas trees. And oh yes, we have a cover. Here’s it is folks: Nowhere Home. The 2016 PNWA Conference is over (for me at least, events continue Sunday, but alas, I will not be there). The highlight of the weekend for me was being on a YA / Middle Grade / SF / Fantasy – “Ask a Pro” panel with Royce Buckingham, Ethan Reid, Brian Mercer, Kisa Whipley, Cait Spivey, Patricia Nelson and Jeff Ayers. I hope we dispensed some wisdom that helped those who attended, and I know we had a ton of fun. 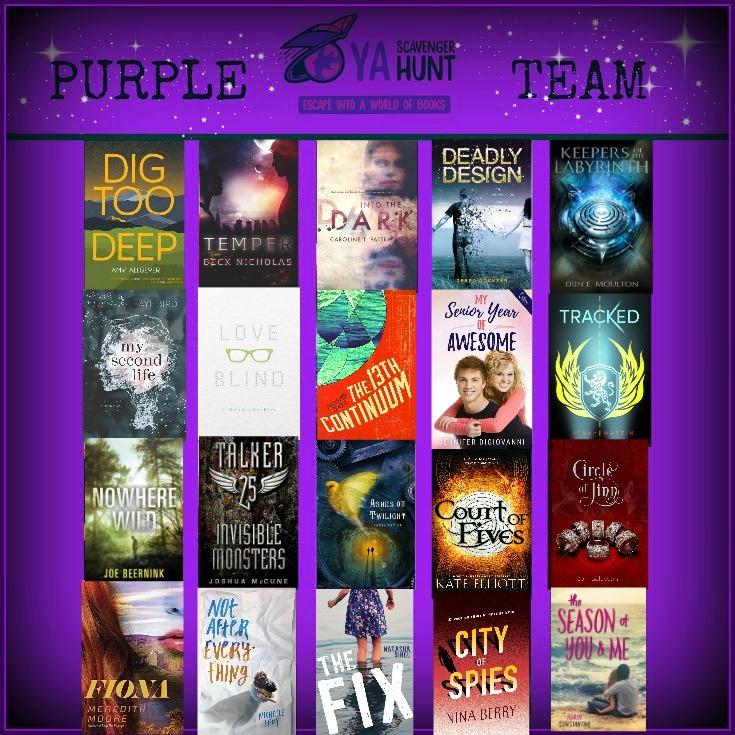 I could talk writing and publishing with these people all day long! I spent a good chunk of the conference in the Pitch-Block room, trying to keep smiles on the faces of nervous authors pitching to an incredible collection of agents and editors, while also trying to keep the room quiet. Not everyone appreciates the bad cop we volunteers sometimes need to be, but most at least understand how important it is to keep the noise level down while other pitches are going on. I did three of these 90 minute sessions, and by the end of the third one, my feet were killing me. But it’s fun too, and a great way to meet all the agents and editors. If you’re planning on going to the PNWA Conference next year and want to volunteer, working the Pitch-Blocks is absolutely the way to go. But the best part of the weekend is spending time with old friends and meeting new ones. Pam Binder, as always, puts a smile on my face every time I see her. Jason Black and I spent a lot of time talking writing. Hanging out with C.C. Humphreys is always a blast. Kevin O’Brien was awesome (as usual). Chris Patchell, Sean Fletcher, and the whole crew from the Andrea Hurst Agency and I had a great time at the bar before dinner on Friday. 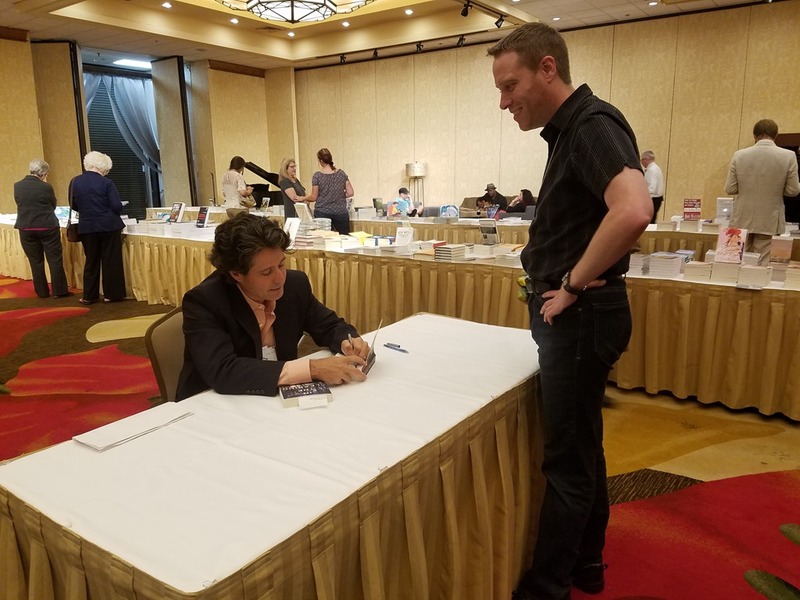 I had great talks with so many other folks, my voice was shot by the end of Friday night, but I soldiered on to participate in my first PNWA signing party! I wish I had remembered to take more pictures! I did get this shot (thanks Pam!) of Bob Dugoni signing a couple of books for me after his heartwarming keynote speech on Thursday night. Bob is a fantastic guy, and so generous with his time and advice. We’re incredibly lucky to have him in the PNWA. 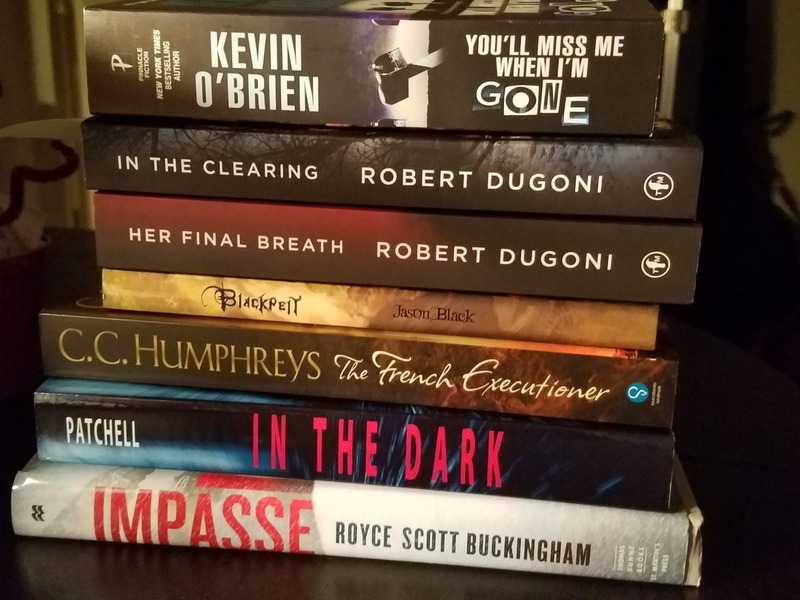 Of course, I restocked my bookshelf with a few (okay a bunch) of new, signed books. I really wanted to get my hands on CC’s new books Plague and Fire, but am still waiting for those to be available in the US. I may have to drive up to Canada to get them if all else fails. Overall, a fantastic, and exhausting time. My writing batteries are fully recharged, and I will be digging in hard to get my next book out soon. But now, I must go to bed. I need sleep. 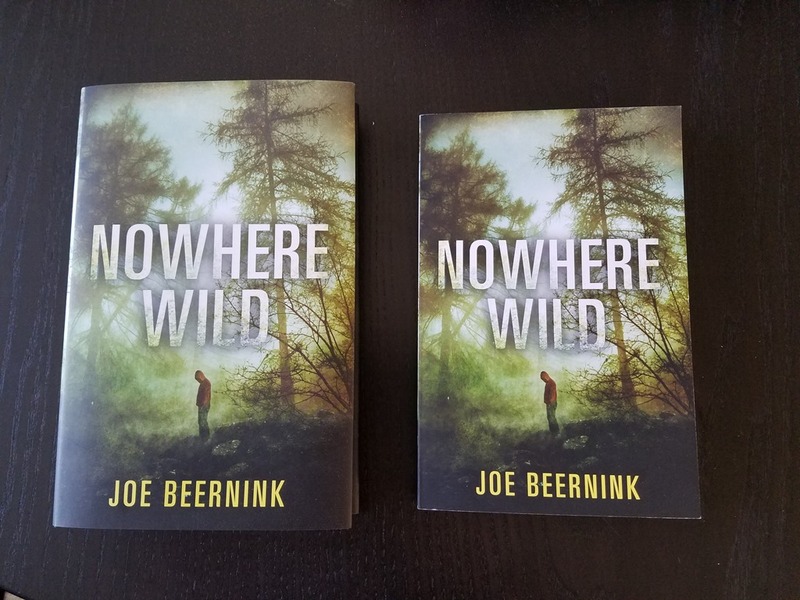 My author’s copies of the paperback edition of NOWHERE WILD arrived in the mail today! Many thanks to Suzanne Sutherland and Maria Golikova at HarperCollins for getting this one out for summer readers. I’d also like to thank (again) Sally Harding and Rachel Letofsky at the Cooke Agency for everything they do to keep my publishing career on track. I couldn’t have done this without you. And to all of you readers who have already bought the hardcover edition, thank you so much. I hope to have more for you to read in the near future. If you liked the book, please put a review and rating up on Amazon or Goodreads, or wherever you bought the book. It really does help! The paperback goes on sale August 9th, 2016 in USA and Canada. A quick reminder that I will be doing a signing at A Book For All Seasons in Leavenworth, WA from 3-6 PM this Saturday, April 30th. I had a great time last time, and I hope to see lots of folks out and about. Also, remember that April 30th is Indie Bookstore Day in US and Authors for Indies Day in Canada. If you can’t make it out to Leavenworth, please drop by your local Indie bookstore in your town and buy a book. 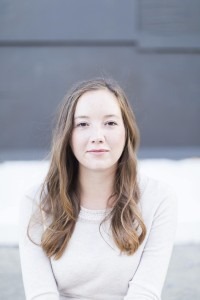 These bookstores are vital to spreading word of mouth about new and upcoming authors, and they have the unique ability to help you find the right book for you. If books are your passion, get out and shop at the places that are just as passionate about the written word! Just a quick heads up that I’ve got another giveaway going on over on my Goodreads page. Enter today for a chance to win a signed hardcover copy of NOWHERE WILD! Contest ends April 10th, so by my count, you’ve got just 11 days left to enter. Hurry!